FFT Lumber Ltd Excavator with Double Drum Winch and Harvester Head. Funded by European Agriculture Fund for Rural Development. This project is partially funded by the European Agriculture fund for rural development and aims to improve efficiency within the forestry sector we work in and also create a local employment opportunity. 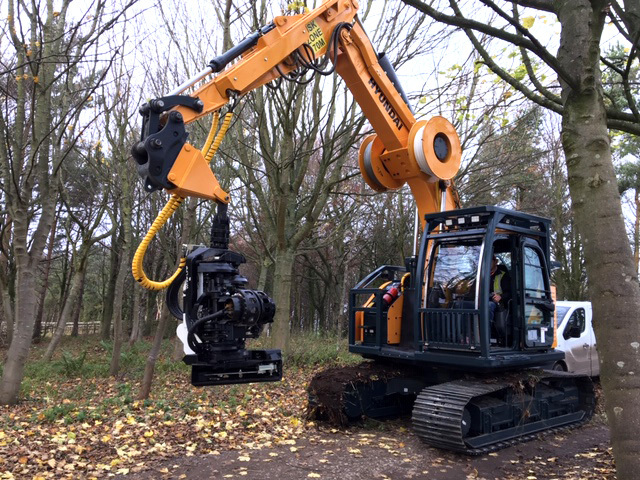 The machine is very versatile and can be used for both winching trees from difficult to access terrain and then process them into marketable products.